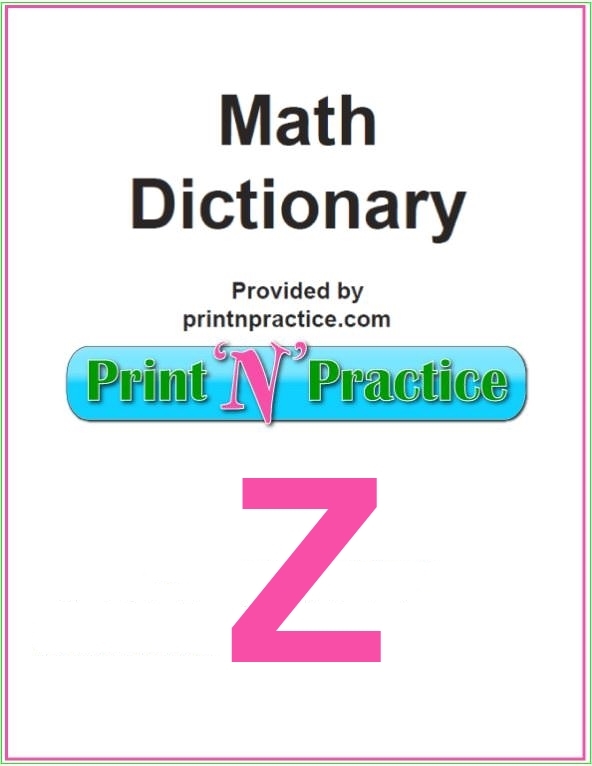 Welcome to our printable Math Dictionary words that start with Z. These have their definitions. Fun Note: Zed is the name of the letter Z in England and the British Isles. Here in the United States we say the letter Z as Zee. 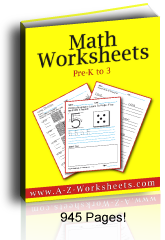 Math Words That Start With Z with definitions. 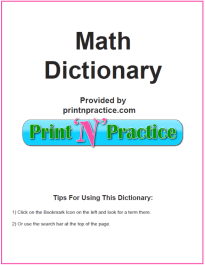 See their printable math dictionary, too. Z-Intercept - the point at which a line crosses the z-axis. Zenith - the highest point, peak. Zero Divisors - nonzero elements of a ring whose product is 0. Zero Element - the element 0 is a zero element of a group if a+0=a and 0+a=a for all elements a.
Zodiac - a calendar term related to the imaginary division of the heavens into twelve sections represented by animals (root word zoo) and the time periods roughly correspond to a month's time. Zone- the portion of a sphere between two parallel planes. In the United States, we pronounce Z as zee and this is even in the Webster's Collegiate dictionary! You can expand your Z list for Math if you have younger children count. You can count how many animals are in the zoo. They'll understand more if you include prefixes and suffixes since prefixes and endings change the meaning of the word as with zoology and zoological. Some of these words relate to more than Math as with the word zone.